exPressit is our very own software for printing directly onto Pressit branded media labels .exPressit allows you to design and print directly onto Pressit media labels for example, CD/DVD labels, VHS cassette labels and many more.ExPressit is great for anyone wishing to create customised, professional labels for almost all types of media. Just download exPressIt and use it. For life, for free.Our software has been certified 100% spyware, adware. ...... The design can then be printed onto a Pressit label that, with the help of a Pressit applicator, will give you perfectly centered label with an amazingly crisp and clear finish. Just download exPressIt and use it. For life, for free. You don't need to register, and you won't get unsolicited email. Our software has been certified 100% spyware, adware. 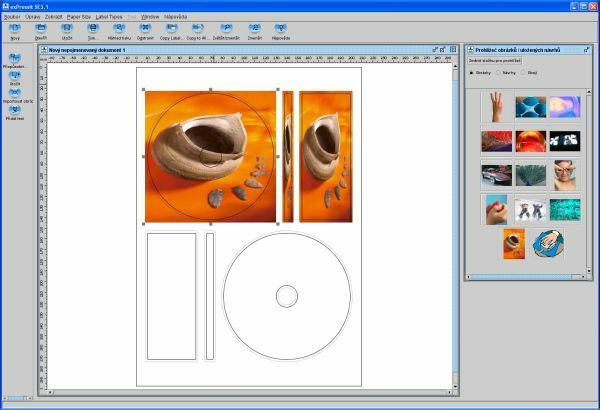 Simply drag a CD cover design or free picture downloaded from our gallery into the exPressIt software and print. It's that easy! exPressit CD Label Maker software has a great print alignment calibration feature for any laser or inkjet Label printer - perfect PressIt labels first time and every time. Qweas is providing links to exPressit 3.1 as a courtesy, and makes no representations regarding exPressit or any other applications or any information related thereto. Any questions, complaints or claims regarding this application exPressit 3.1 must be directed to the appropriate software vendor. You may click the publisher link of exPressit on the top of this page to get more details about the vendor.